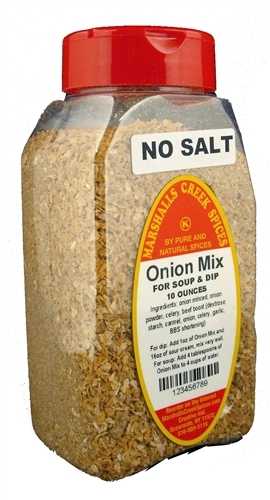 For dip: Add 1 oz of Onion Mix and 16oz. of sour cream, mix well. For soup: Add 4 tablespoons on Onion Mix to 4 cups of water. This a new item for me I have not used it just yet. But I am going to be making a stuff beef roll and this is going to be the base for the sauce that I make. Again I will let you know how it turns out. I like the fact that I find new items and spice blends from this company.